Recently I visited a wine fair in Basel, Switzerland (Basler Weinmesse) and I took this opportunity to taste wines from the country. Switzerland is a very small wine region and quite unknown when compared to the likes of France, Italy or Spain. The country is divided into 6 wine-producing areas located near the German/ Austrian border, the French Border (Vaud, Neuchâtel -3 Lakes, Geneva, Valais) and the Italian border (Ticino). Switzerland produces white, red and sparkling wines and has an extensive range of grape varieties, more than 40 different vines, among which are some rare and old varieties that are difficult to find in other countries. Thanks to it’s diversity in terms of grape varieties, areas and influence from the surrounding countries, Switzerland should definitely be discovered. During the wine fair I’ve met an independent organic winemaker, Kurt Wasmer, from the Ticino area. His vineyards, the Azienda Agricola Ecologica Wasmer -Ramer, only grows rare grape varieties and that since 1979. He works together with his wife and they grow 1,4 ha on the sloping vineyard of Malvaglia. The grape varieties (reds) grown are: Bondola, Merlot, Maréchal Foch, Americano and Garanoir as well as a blend of whites. Aged in barrels this blend of Bondola and Merlot, is a strong wine that reveals the aromas of the grapes. 09 Nov	This entry was published on November 9, 2012 at 3:51 pm. 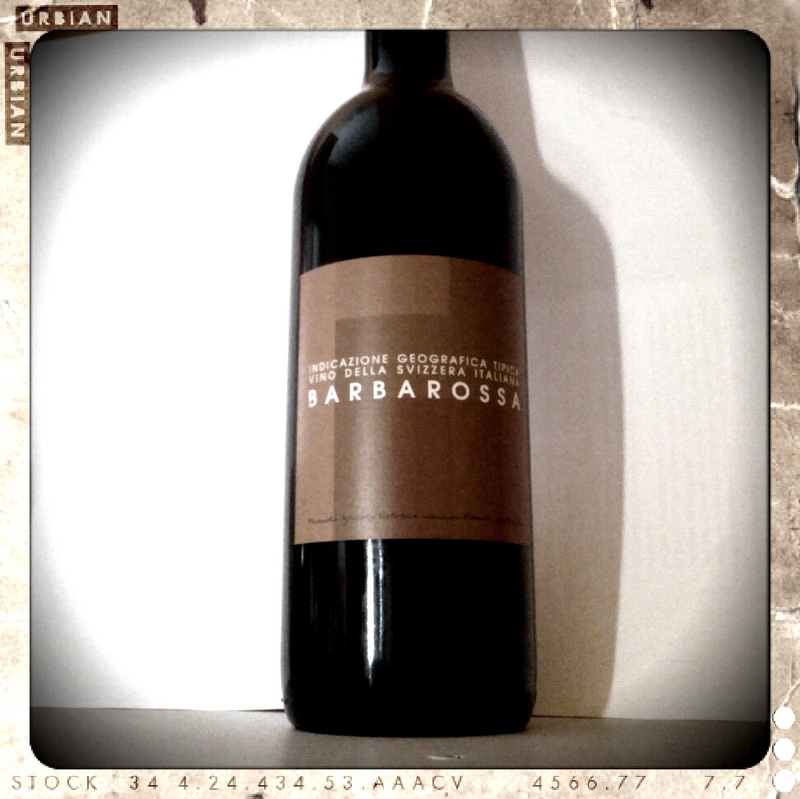 It’s filed under Red Wines, Tasting reviews, Uncategorized and tagged Barbarossa, Bondola, malvaglia, red wine, switzerland, ticino, Wasmer-Ramer, wine review. Bookmark the permalink. Follow any comments here with the RSS feed for this post.